How much are UFC tickets for this event? Because if you have been to a UFC event live before, then you know that seeing the fights live in person in the arena, is a much more exciting, a bigger and generally more memorable experience then just sitting at home watching it on TV. In today’s post we are going to give yo a complete breakdown of all the fights and where you can get tickets for the upcoming UFC 235: Jones vs Smith fight card which will be on Saturday 2nd March, at the famous T-Mobile Arena, in the fight capital of the world Las Vegas, NV. From top to bottom this fight card looks stacked and really should be a hug kick off to the spring season as in the main event we will be seeing the unstoppable Jon Jones defend his UFC Light Heavyweight title against the rising star of Anthony Smith in what should be a great fight. Its always a pleasure to watch Jones in any fight and Smith has really revitalised his career since moving up to 205, having already notched up impressive wins against Rashad Evans, Shogun and Volkan Oezdemir. So who is fighting on this card? Jon Jones vs. Anthony Smith TITLE FIGHT – No its not a two year wait for MMA fans to see the legendary Jon Jones fight again, the Nevada State Athletic Commission is allowing Jones to fight again under strenuous drug testing after his drugs tests leading up to UFC 232 seemed to have incredibly small amounts of a PED. But that aside as a huge Jon Jones, I personally don’t feel he has been knowingly taking Steroids, so im so happy he is fighting soon again, because its less then 3 months since we saw Jones regain his UFC Light Heavyweight title against Alexander Gustafsson in December 2018 at UFC 232. I have to say though that regardless of Jones’s dominance in his MMA career, I do genuinely feel that Anthony Smith may have more to offer in this title fight at UFC 235 then most expect.In terms of height and reach Smith is competitive with Jones, as well as being a really well schooled and hard hitting striker -but in reality Its the Wrestling and Grappling of Jones that I expect to be the deciding factor in this bout.I see Jones landing a big shot on the feet to drop Smith, or landing a big take down and following up with Jones’s devastating ground and pound to get a TKO finish in a similar fashion to the Gustafsson fight, but I expect Smiths toughness may allow him to survive till the Championship rounds and potentially even make it to the judges. Tyron Woodley vs. Kamaru Usman TITLE FIGHT – This is a really good co-main event and just like the main event, it feels like this could be closer then what many may first think. On the feet I just can’t see how Usman can compete with Woodley’s power and timing in his striking, but when these two men tie up and start grappling its probably gona be much closer and maybe Usman may have an advantage there. But Woodley himself is an excellent Wrestler of an equally high level to Usman, so I have to go with Woodley to use his wrestling defensively to keep the fight standing and then I fully expect him to find a big punch and KO Usman – however, Usman is so tough, strong and athletic so I would not be surprised if Usman finds a way to close the distance and find a way to win the grappling exchanges to get a decision victory to get the belt – but gun to the head I would advise you pick Woodley to win. Ben Askren vs. Robbie Lawler – Ok so this is going to be a really interesting fight to watch because while all true MMA fans will know the name Robbie Lawler because of his long tenure and accolades in the UFC. But if you don’t know Ben Askren, he is an amazing Wrestler who some MMA fans have wanted to see fight in the UFC for many years, but due to business disagreements with Dana White Askren never fought in the UFC until now. Askren has never been defeated in MMA and has been open about only fighting for the best pay, not the best fighters – I don’t whats happened but Askren has eventually come to an agreement with the UFC owners and finally makes his UFC debut. This is really getting thrown in at the deep end for Askren because Lawler is now such an experienced fighter, who has always been a violent competitor and former champion. Will this be Askren’s first loss in MMA? Long story short i do think so yes – Lawler has always had excellent take down defence and his striking is far superior to Askren so I expect Lawler to get a stoppage win or win a decision. Zabit Magomedsharipov vs. Jeremy Stephens – Yes this fight will be yet another great fight on this UFC 235 event. Zabit is a real phenom at 145 with unbelievable striking, fantastic grappling and generally versatile MMA game. However, Stephens is a real veteran with genuine KO power and he will love trying to be the spoiler here and I actually think that he really may give Zabit his first loss in the UFC with cardio, aggression and punching power. But I think Zabit will learn from his last tough fight will Kyle Bochniak by improving his cardio as although he won he did fade a bit towards the end of the bout – but like I say I think he will have filled this gap in and so I think Zabit will just manage to outsmart Stephens across the whole fight to edge a close fight. Cody Garbrandt vs. Pedro Munhoz – Can Cody Garbrandt make it back towards the title at 135? This will be a big fight to say yes or no to this question, because Munhoz is legit he hits harder then some think also he has excellent Wrestling and Grappling. So I’m not sure where Grabrandts head is at and I feel Munhoz is ready to make a big run into title contention and will find a way to defeat Garbrandt. On top of all the above great fights, we also have: Thomas Almeida vs. Marlon Vera, Diego Sanchez vs. Mickey Gall, Polyana Viana vs. Hannah Cifers and more fights to be announced in the coming days and weeks! And what are the tickets costing? Well all MMA events tend to have different pricing structures – this is very much based on how close you want to sit to the cage, because the closer you get to the action the more the ticket prices go up. Also it does depend what the promoters running costs are for the specific arena where the event is being held and on top of this the more celebrity name fighters on the card of course causes ticket prices to go up as well. So make sure you are realistic with yourself about what ticket prices are actually affordable for you, always stay within your budget and don’t forget to plan your travel and accommodation at least a week before the event. 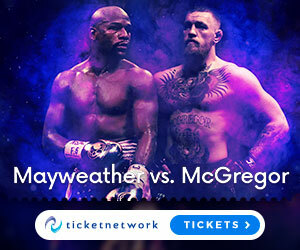 This UFC 235: Jones vs Smith event currently has ticket prices ranging from $200 – $18,483, which really gives a great variety of pricing and don’t think if you cant afford an $18,000 ticket that you wont have fun – you can get an amazing seat for under $1,000. If you feel ready to start planning the seat you want then you can look at the full arena layout and ticket information on this really good ticket booking website. Plain and simple this UFC 235: Jones vs Smith event on Saturday 2nd March, at the T-Mobile Arena, in the fight capital of the world Las Vegas, Nevada is definitely the upcoming fight card that I am looking forward to the most. I mean the main card is already stacked and I can’t wait to see what other fights get added in the next few weeks, but Jones vs Smith, Woodley vs Usman and Lawler vs Askren are worth the ticket price alone not to mention all the other great fights already announced. So if you want a trip to Las Vegas to see this amazing UFC fight card then you should make your booking right HERE. I may also be going to this one, so will be nice to see as many of you there as possible. I hope you have enjoyed today’s post so if you did then leave a comment or question below – like, share, subscribe and as always stay tuned for more from the world of MMA right here at the MMAGateway.